CAT (common admission test) exam is a computer adaptive test that has to be cleared by candidates willing to do MBA in the Indian Institute for Management Studies, and in some of the other prestigious institutions that would accept CAT scores for admission. The test pattern is unstable and it varies every year. 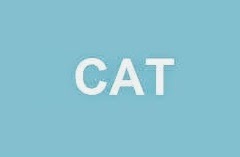 The pattern of the CAT exam is objective type multiple choice questions are asked in the exam. There is negative marking in the exam, for each wrong answer 1 mark will be deducted & for correct answer candidate will get Three marks will be awarded There is no penalty for questions that are left unanswered. Test duration will be of 2 hours and 20 minutes which means 70 Minutes is allotted to each section. From this year there are only two sections in the exam. The first section is Quantitative Ability & Date Interpretation: the second section is Verbal Ability & Logical Reasoning. The time limit for each section is different.The duration of the exam is 140 minutes. Candidates will be given 70 minutes to answer 30 questions within each section, each section have an on-screen countdown timer. Once the time ends for the first section, students will move to the next section and will not be able to go to previous section. Study planet is a leading way2college web portal through which you can get updated information about animation colleges in delhi and provide entertainment value of education. Thanks for sharing. I hope it will be helpful for too many people that are searching for this topic. Try to play five nights at freddy’s game now.